automatica 2018, in Munich from June 19 to 22, is getting a new integrated subject area with IT2Industry. It focuses on the interplay between automation and information technology, which is a core component of digital automation and robotics. IT2Industry provides companies with guidance on current digitalization trends in industry, promising strategies and important IoT technologies. 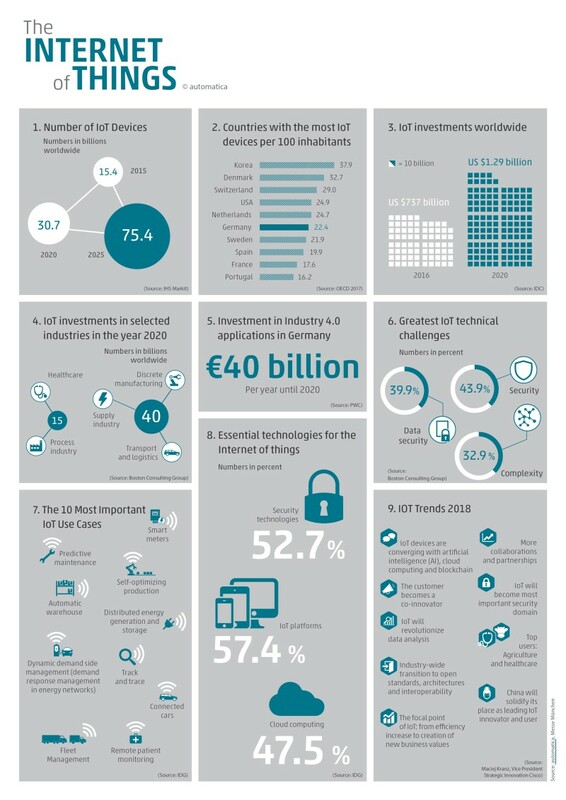 In order for Industry 4.0 applications to function, companies must invest in IoT platforms, among other things, which connect the machines to the Internet as well as safeguard, analyze and control them and provide the necessary interfaces for access to applications and other systems. 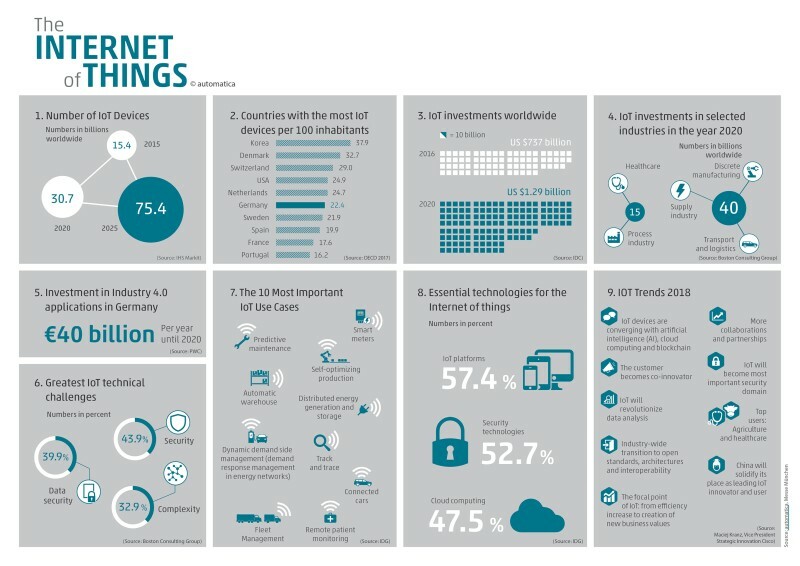 In a survey conducted among 385 IT decision makers primarily from the manufacturing sector in autumn of 2017 by IDG, 57 percent of the respondents stated that IoT platforms are an indispensable technology. It is already used by approx. 22 percent of respondents. In combination with IoT, those surveyed cited security technologies (53 percent) and cloud computing (48 percent) as also essential. In the same study, 64 percent of respondents estimated the importance of IoT for their own company as “very high” or “high”. IT2Industry, the subject area of automatica, consequently brings together two worlds: IT and automation. In this area, something is actually growing together now, which belongs together in times of digitalization. In the subject area IT2Industry, not only relevant software and hardware providers, integrators and consultancies are exhibiting, but there will also be intensive discussions about robotic automation, big data, cloud, security and of course IoT. The exhibitors include both traditional IT vendors such as Trend Micro Deutschland and proALPHA Business Consulting as well as companies that offer practical industry 4.0/IoT applications or platforms, for example, Essert, WidasConcepts, fabrikado and SW Schwäbische Werkzeugmaschinen.